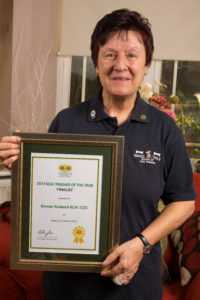 DENISE IS A FINALIST OF THE KENNEL CLUB TRAINER OF THE YEAR ONE OF FIVE IN THE COUNTRY in 2017 & 2018 an Achievement of Two years running! Waggtails School of dog training was started and is run by Denise Hubbard FdSc Canine Behaviour & Training, and is a KCAI (CD) The Kennel Club Accredited Instructor NPTC. Hannah is a welcomed member of our Waggtails team, she is studying with the IMDT which is Institute of Modern Dog Trainers a well worthy course to be on. When Hannah passé this she will come on board here at Waggtails to be one of our Trainers Good Luck Hannah, you will be Great and cannot wait till you pass! Hannah has got her own Darling black Labrador puppy now called Gelert, with her Five Gorgeous children its hectic, however, Hannah always has a smile and is loving working with her new baby Gelert! He is truly a sweetheart bless him. It provides a stimulating environment for puppies and dogs alike. 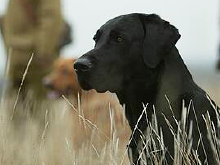 With our modern methods of a kind, effective reward-based training using lure and reward or clicker training. This enables you and your dog to develop the necessary social skills and control which is vital for approaching everyday encounters in our community today. I believe that good early education is of value in itself and will provide a sound foundation for learning for life. It will contribute to the physical growth, social, and emotional development of the dog. I believe that all puppies and dogs are unique and have a wide variety of experiences when socialised well in the outside environment. Waggtails School of Dog Training can build on this, and provide an education appropriate to the particular needs of the puppy or dog. I have an OCN in Canine Behaviour and Training and have completed and passed a three-year foundation degree in Canine Behaviour and Training at Bishop Burton College. I am a qualified member of the Kennel Club Accreditation Scheme for Instructors and the Association of Pet Dog Trainers. This enables me to give you an expert understanding of how your dog behaves and thinks. 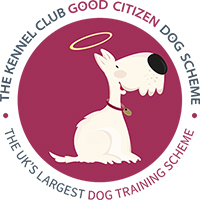 The Kennel Club's Accreditation Scheme for Instructors in Dog Training and Canine Behaviour is a membership scheme open to anyone working, or wishing to work, in any area of dog training and canine behaviour. It is designed to set the standard for quality of advice, and by networking its members, to provide the best service possible for dog owners and dog training enthusiasts. Yvonne primarily is my trusted Assistant helping me with the Puppy classes on a Thursday at Lach Dennis Village Hall as well as providing good moral support and general assistance. Yvonne, has been with Waggtails and her lovely dog Jess since July 2009 and has completed The Kennel Club Bronze, Silver and Gold Good Citizen Dog Scheme several times over! with Lovely sweet Jess Yvonne is a valued member of our Waggtails team.